Movies to watch online free. The Killers from Space in this low-budget sci-fier are a group of aliens bent on conquering the earth. To this end, they overtake the mind and body of atomic scientist Peter Graves, using the poor man as a combination spy and saboteur. When Graves realizes this, he tries to warn mankind, but no one believes him. Marching defiantly back to the aliens’ Bronson Canyon headquarters, where the slimy villains are busily syphoning off electrical power from a nearby generator, Graves vows to stop the extraterrestrials at any cost…including his own life (or what there’s left of it). The makeup used for the aliens is laughable, but the film works so long as it concentrates on Graves’ plight. Produced and directed by W. Lee Wilder, the brother of the more celebrated Billy Wilder. See the movie "Killers from space"
A woman’s husband has disappeared on an expedition into the jungle. She hires a guide to take her into the jungle to find him. However, they discover that he has been captured by a savage female tribe. See the movie "Queen of the Amazons"
During WWII, the death camp at Treblinka had an escape, causing the Commandant at a similar camp in Sobibor to vow (actually threaten) that his camp would never experience the same thing. But those who were its captives, the Jewish laborers that had been spared from the ovens, knew that they were on borrowed time and that their only hope was to escape… the only question was how to do it. However, because the Germans would kill an equal number of others whenever a group attempted to escape, the captives knew that if ever an escape was tried, all 600 prisoners in the camp would have to be included… logistically precluding any ideas about tunnels or sneak breakouts. Indeed, to have such a mass escape could only mean that the Ukrainian guards and Germain officers would have to be killed, which many of the Jews felt simply reduced themselves to no better than their captors… thus making it a struggle of conscience. And therein lies the story, with the film being based on a factual account of what then happened at that Sobibor prison. 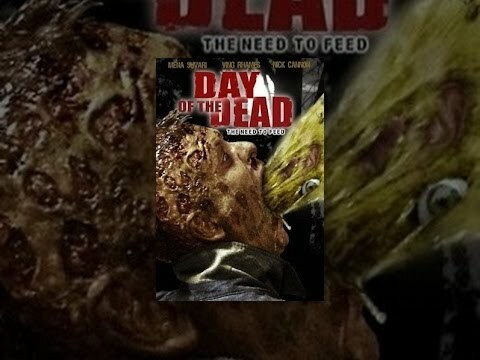 See the movie "Escape from Sobibor"
See the movie "Day of the Dead"
American Zombie tells the story of two Los Angeles filmmakers who set out to document a group of highfunctioning zombies and their struggle to gain acceptance in human society. Despite their wildly different working styles, Grace and John manage to chronicle the hopes and dreams of four fascinating subjects: IVAN, a convenience-store clerk who longs for a career in publishing; LISA, a florist trying to recover her lost memories; JUDY, a hopeless romantic who learns to accept her true nature; and JOEL (pronounced “Ho-El”), a committed political activist striving for zombie rights. As Grace seeks to get to know the zombies “on their own terms,” John is eager to uncover their darker side and rallies to get the crew permission to shoot at a three-day, zombies-only retreat called Live Dead where the documentary takes an unexpected — and dangerous — turn. What transpires there is beyond anything the filmmakers could imagine, as they are forced to re-evaluate their ideas about tolerance, identity politics and the future of the human race. 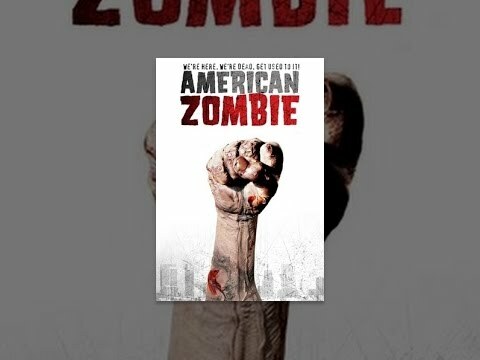 See the movie "American Zombie"
Films.li - Contact - Advertising.